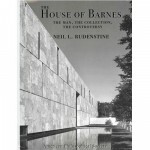 David chats with former Harvard President Neil Rudenstine in to chat about his new book The House of Barnes: The Man, The Collection, The Controversy. This book covers the extraordinary and eccentric Albert Barnes. Often lauded as the most successful art collector in history, Barnes’ collection was panned by critics in the early-20th Century for including artists like Van Gogh, Cezanne, and Picasso before they contemporary art at the time was understood and respected.